Jean-Baptiste Alphonse Karr (1808—1890): “Plus ça change, plus c’est la même chose” – The more things change, the more they stay the same. More than six months after the July 28 national election, the divide between the ruling Cambodian People’s Party and the opposition Cambodian National Rescue Party grows wider still. I remain scepticalabout “negotiations” between these two uncompromising parties,each demanding all-or-nothing as supporters cheer, and the people aresqueezed in between. As national institutions that should be apolitical are instead openly committed to the current regime, negotiations between government representatives and the opposition are unlikely to produce meaningful or long-lasting results. 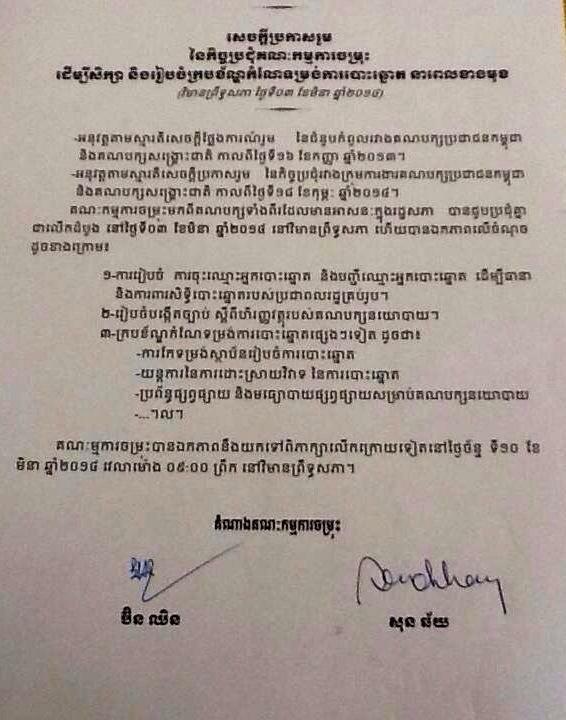 In the face of ongoing labor unrest, particularly in the garment industry, Defense Minister Tea Banh has twice in recent days affirmed that the Royal Cambodian Armed Forces will protect “election results and support” Hun Sen. On January 23rd, National Military Police Commander Sao Sokha declared that the National Military Police will protect Premier Hun Sen’s government. Hun Sen already has a separate, unique contingent of body guards who presumably remain loyal to him. 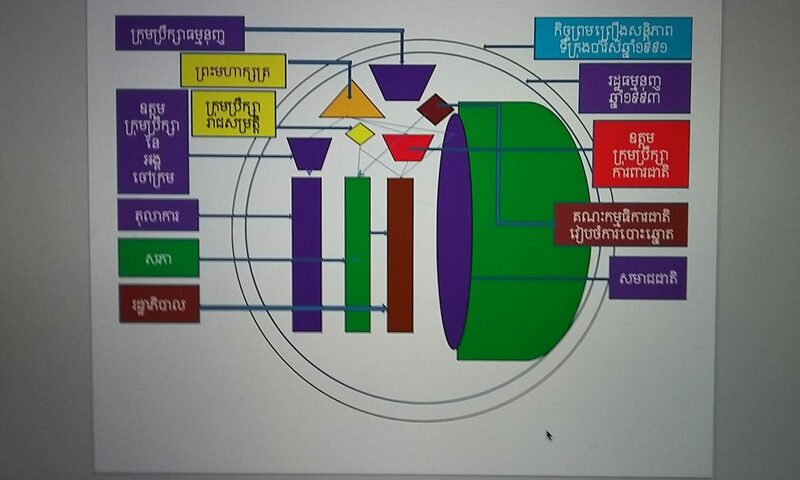 The judiciary is already Hun Sen’s tool. 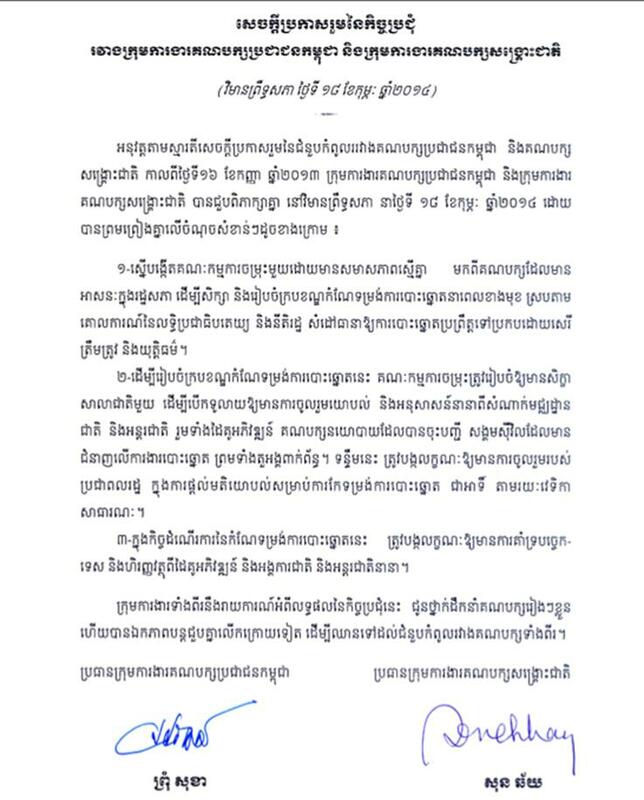 The CNRP says it will boycott the National Assembly until the CPP agrees to a mid-term election (in 2016 or earlier); that there will be no talks with the CPP until the on public demonstrations is lifted. Kem Sokha, an outspoken CNRP leader, vowed, “We will continue to hold demonstrations” until the government agrees to a fresh election. 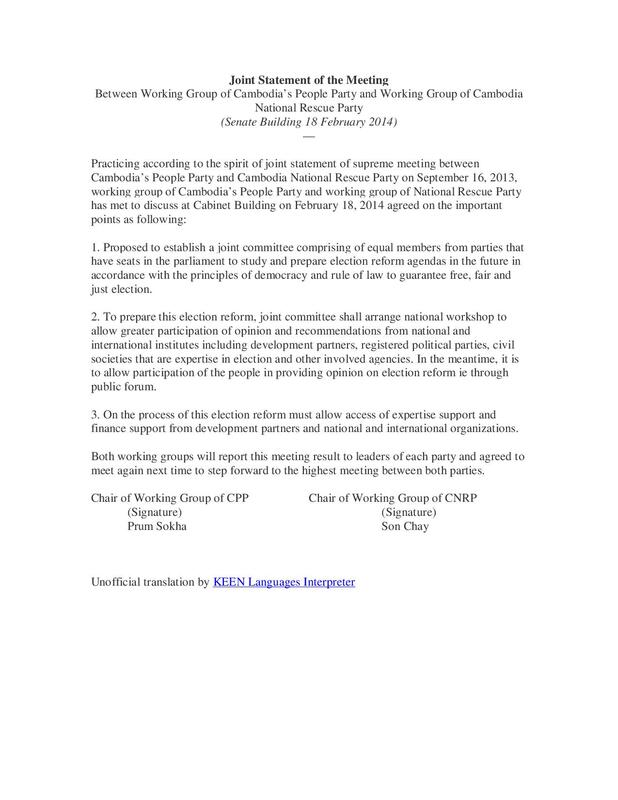 Leaders of both the Cambodian People’s Party and the opposition Cambodia National Rescue Party each assert a longing for peaceful negotiations to end the political impasse that has endured since the July 28, 2013 national elections that gave victory to Premier Hun Sen, a victory the CNRP has rejected on grounds of election irregularities and fraud. 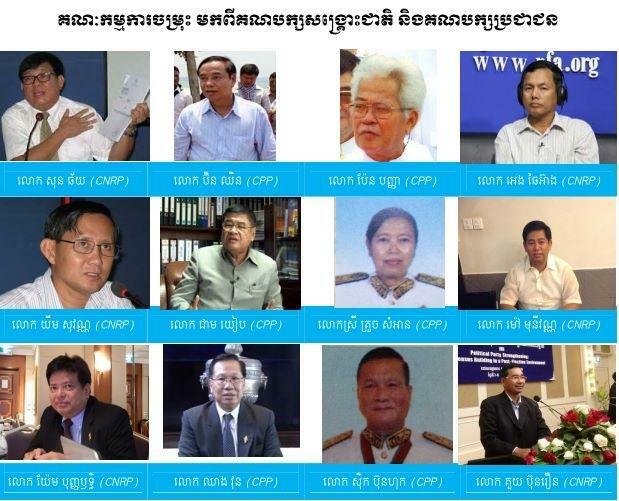 Resolute and unyielding, CPP and CNRP leaders are unlikely to come to terms. Both parties are powerful. The CPP has a stranglehold over the armed forces, and controls state institutions. 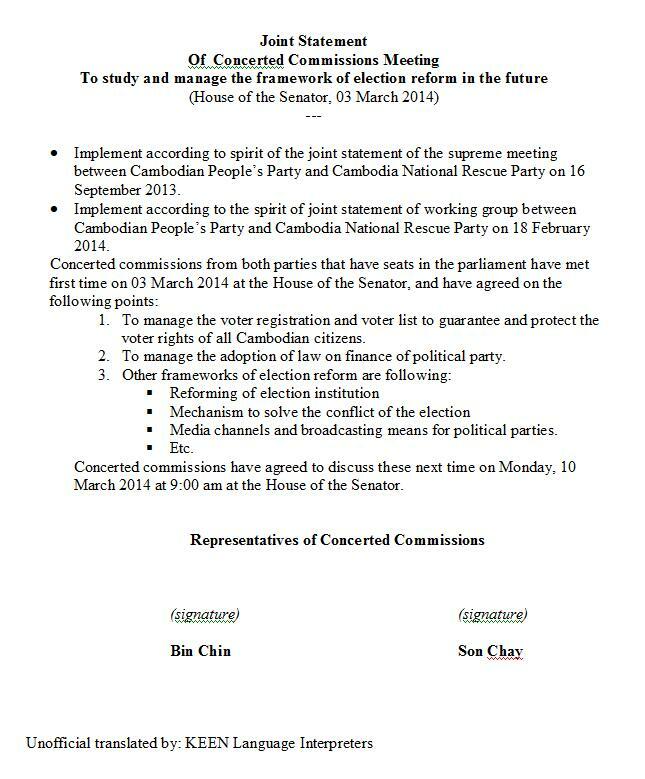 The CNRP has shown it has “people power” on its side. On Jan 2 and Jan 3, Hun Sen unleashed the infamous Special Command Unit 911 (an Indonesian-trained parachute Brigade) to crush protests at the Korean-owned Yakjin garment factory, and at Canadia Industrial Park. Troops shot and killed 5 striking garment workers, wounded 35 others, detained a few dozen in unknown locations without access to families and lawyers. NGOs fear detainees may be subject to torture and starvation.